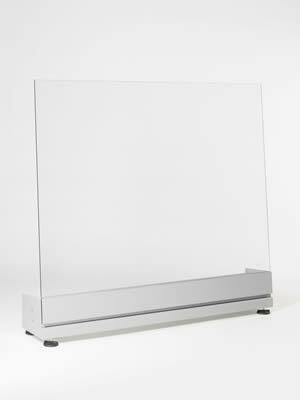 Freestanding screen that gives maximum transparency. 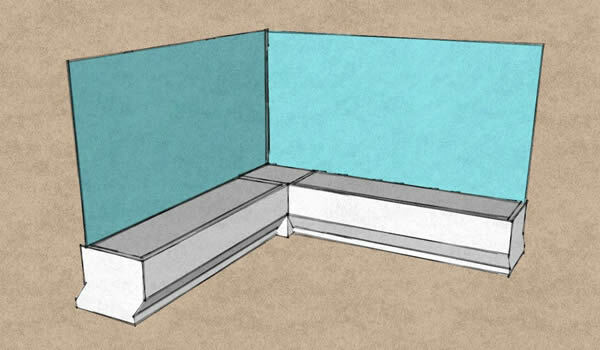 Three design models: with a lamp, a bench or a flower box. 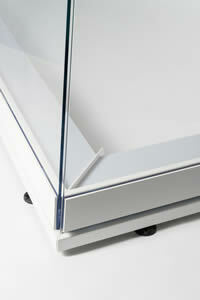 Ideal for all situations where protection from the wind is needed, using freestanding modules. 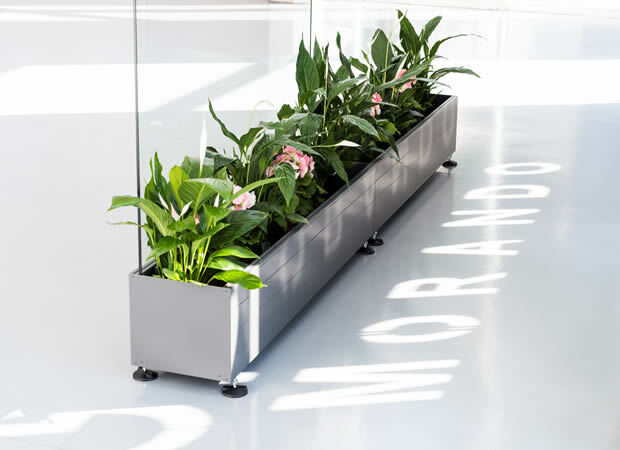 Born for Horeca world can be used in homes as well. Dehor, Terraces, Solarium, Verandas, Balconies or outside business premises. 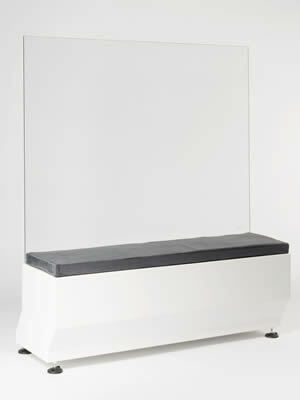 The models have been designed to grant maximum transparency. 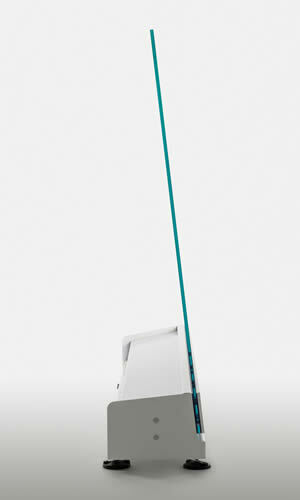 Build up on measure in steel or alumiunm, galvanized and painted, they can be easily installed or moved. Thanks to adjustable foots they can easily placed on uneven grounds. When necessary it's possible to add ballast to increase stability. Optionally we provide a wheel to easy move the modules. Screens, Model RELAX, with a bench. Possibility of anchoring with feets or through loads in the lower part. Made of 2,5 mm steel. Possibility of anchoring with feets or through loads in the flower box. 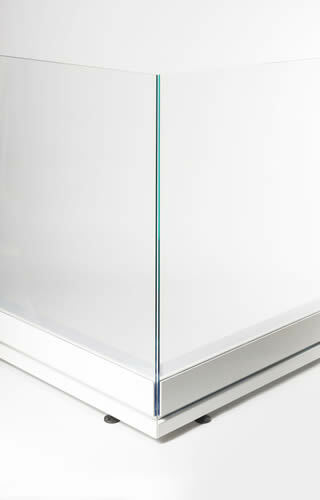 It's the all-glass solution to protect terraces, verandas, balconies, porches and gazebos. 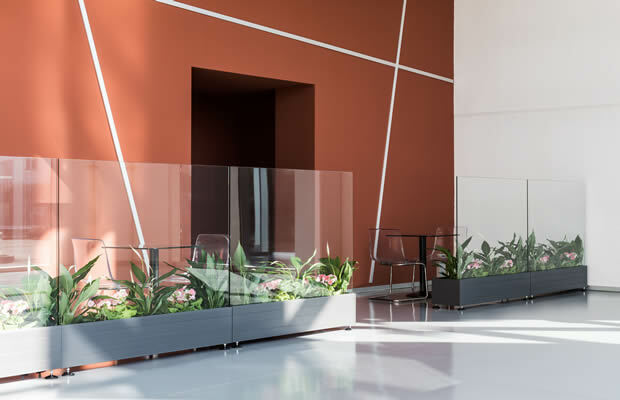 We enhance outside areas of restaurants and hotels, thanks to the very transparent screens that allows you to admire the landscape whilst remaining confortably repaired. Dehor, suitable for foot board. 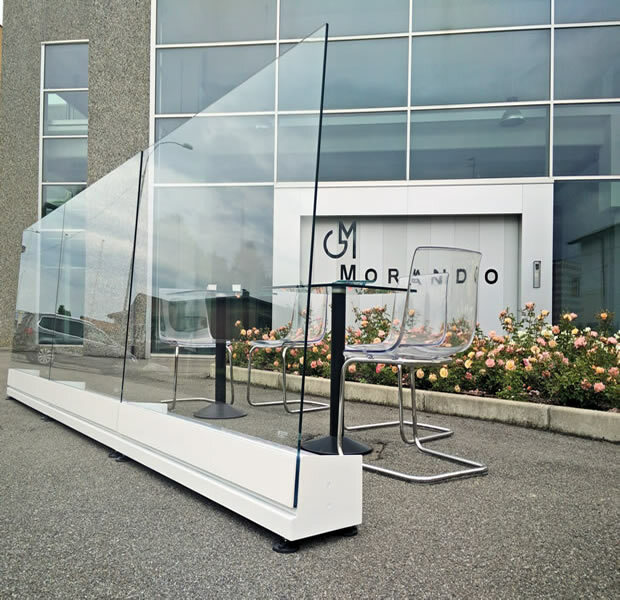 Designed to protect tables placed outdoors in public spaces, Bellavista System has a clamp fastening system allowing easy and speedy removal when required. Optionally we provide a wheel to easy move the modules. 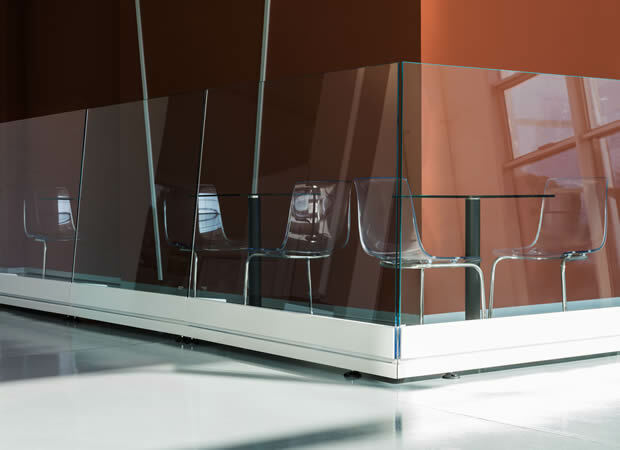 Thanks to the absence of frame between the screen panels, BellaVista creates an all-glass effect and you can enjoy the angle free from obstruction. Sloping glass and light inside. 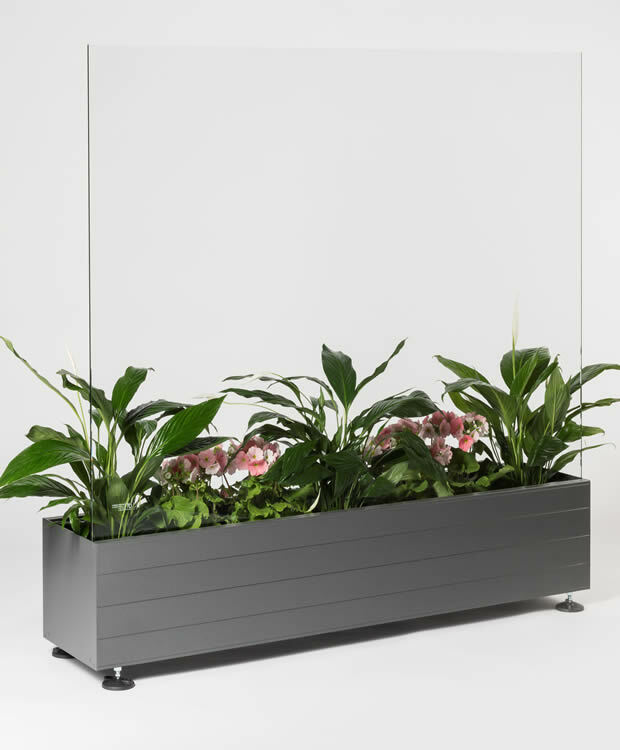 Fixed Windbreak in glass and aluminium: MODEL with sloping glass Fixed Windbreak in glass and aluminium: FLOWER MODEL with flower box.